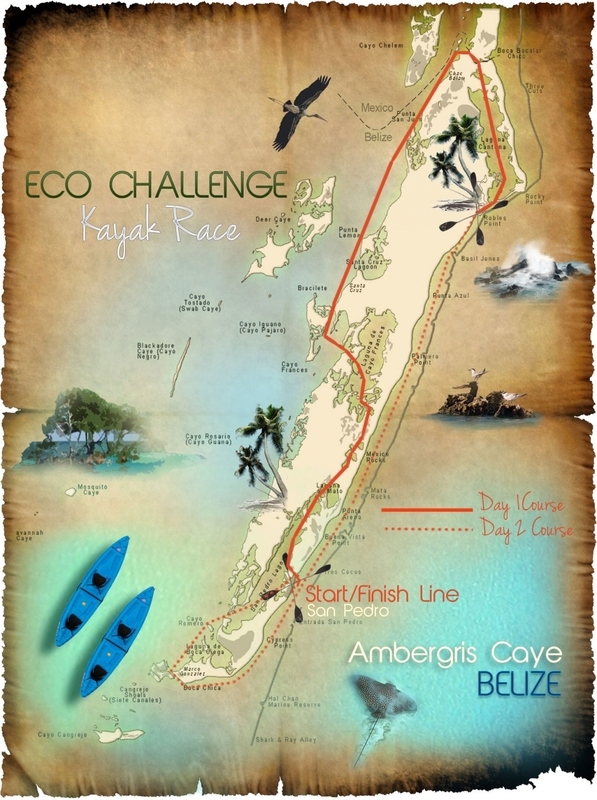 Home » Belize Travel Blog » Sports & Exercise » The 11th Annual Lagoon Reef Eco-Challenge Was the Closest One Yet! 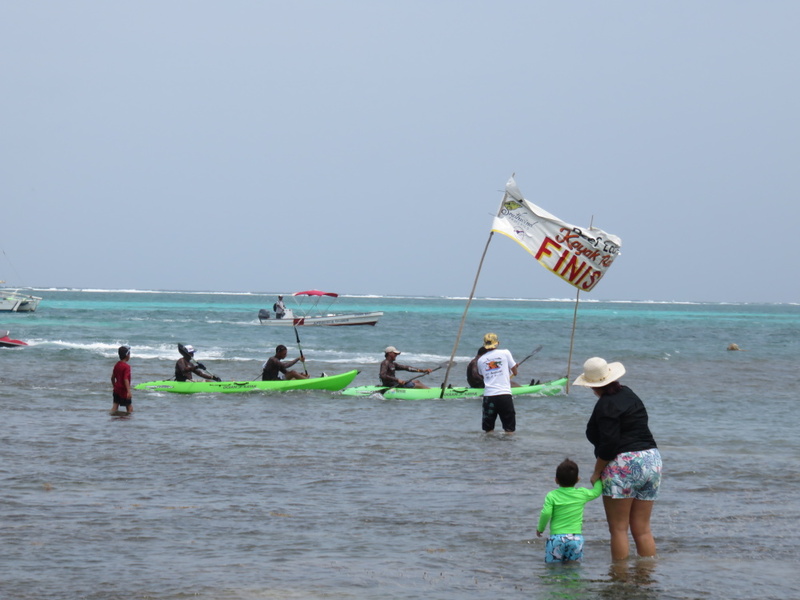 The 11th Annual Lagoon Reef Eco-Challenge Was the Closest One Yet! 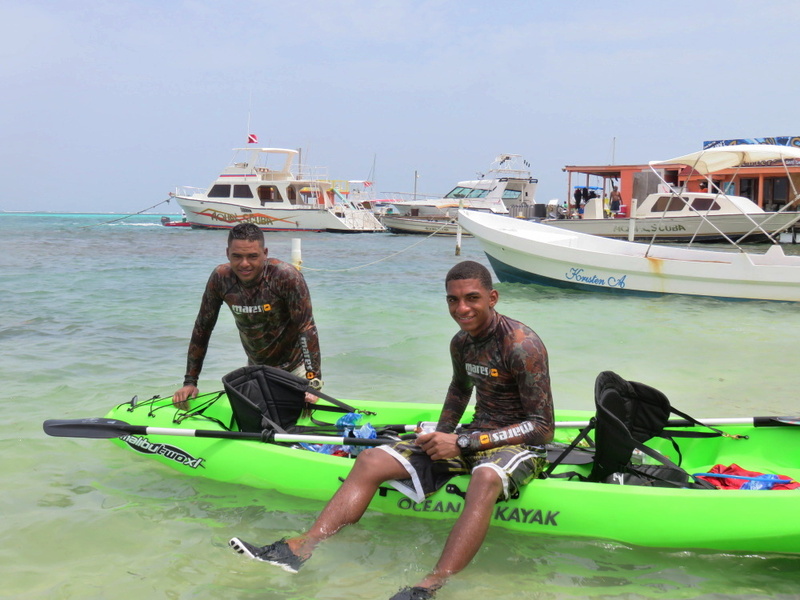 For the last 11 years, two-man or woman teams of kayakers take to the water for a 42 mile, two day kayaking marathon. 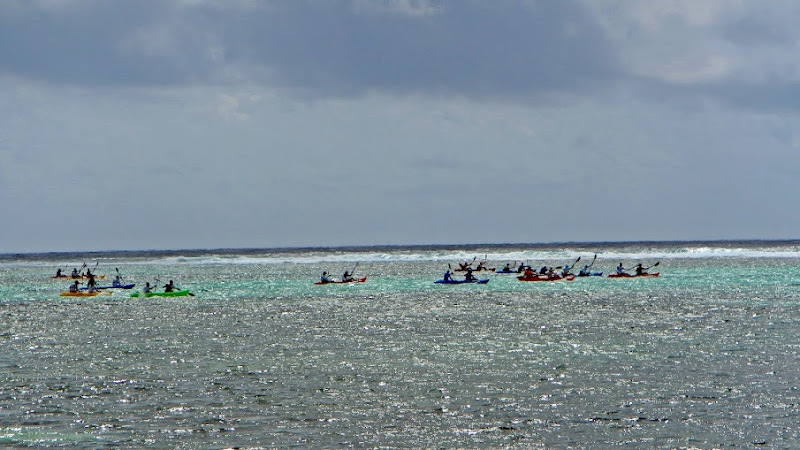 The event highlights reef conservation and environmental friendliness and is just a super fun competition for those paddling (wishful thinking on my part) and for those on shore enjoying a Belikin and cheering them on. On Sunday morning, they head back down to Central Park. I made it to town to see the EXHAUSTED winners…and a huge crowd out to greet them. It’s a super fun town event. 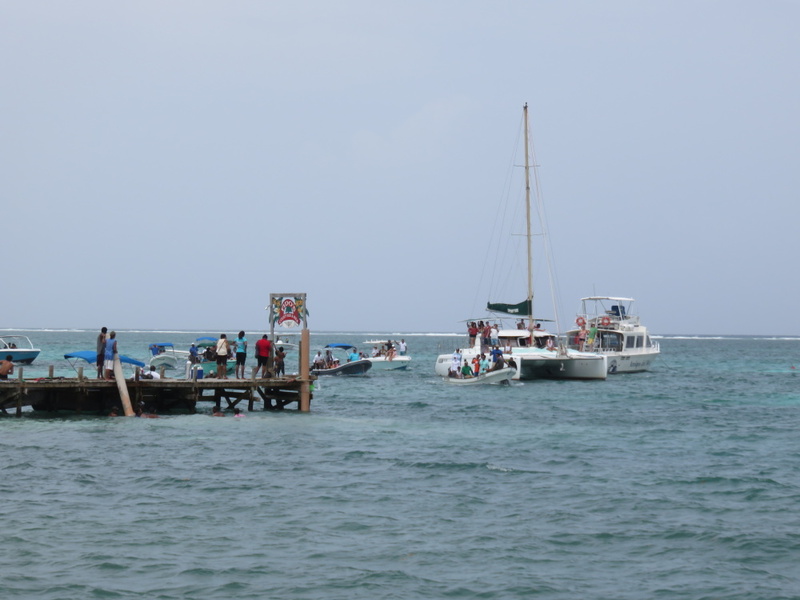 The wind was strong…up to 25 mph from the east and then south east and the day hot and hazy. 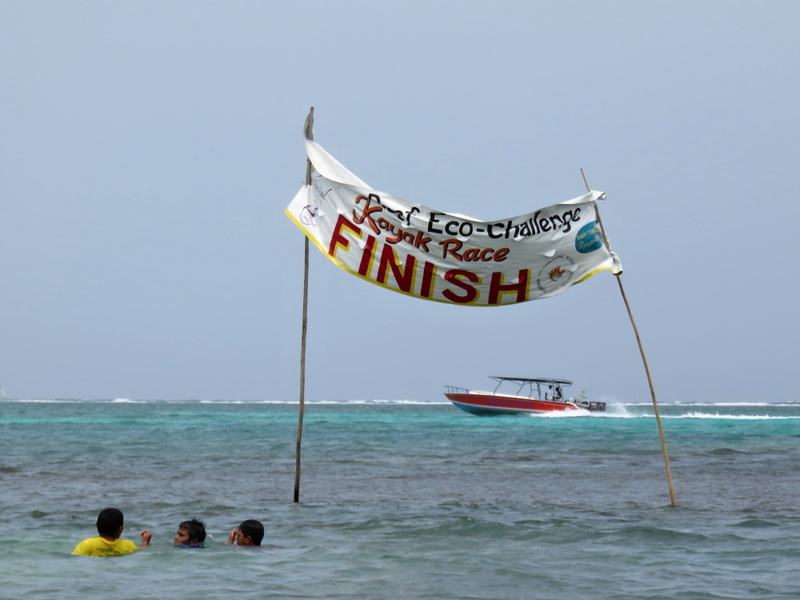 At about 12:30, two guys readied the FINISH sign. 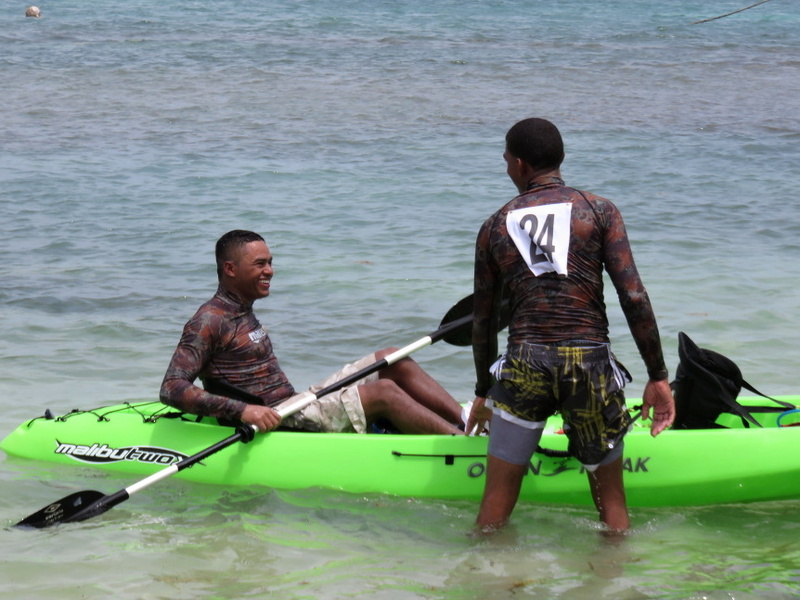 They said the kayakers were just about 3 miles up the coast and would be here in less than an hour. 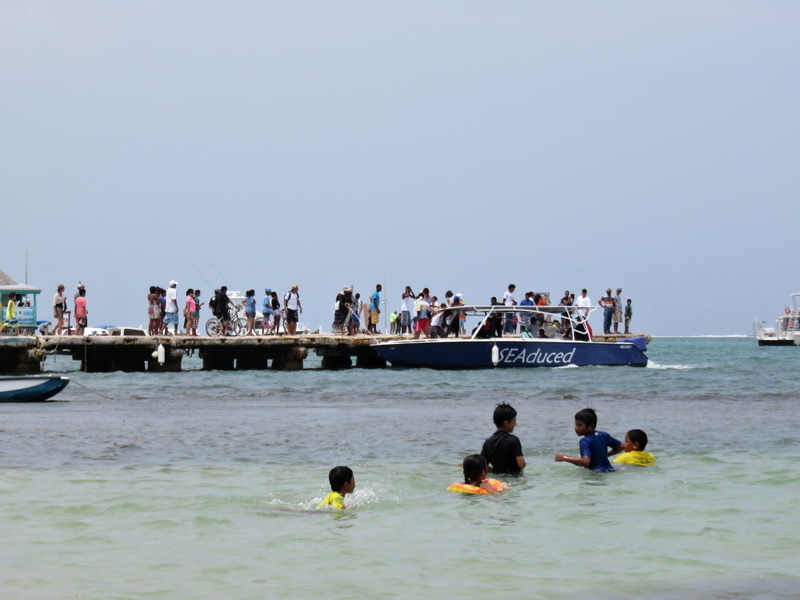 The Seaduced boat came in blasting a super loud horn and people gathered out on the municipal dock. And then the first two teams – side by side! 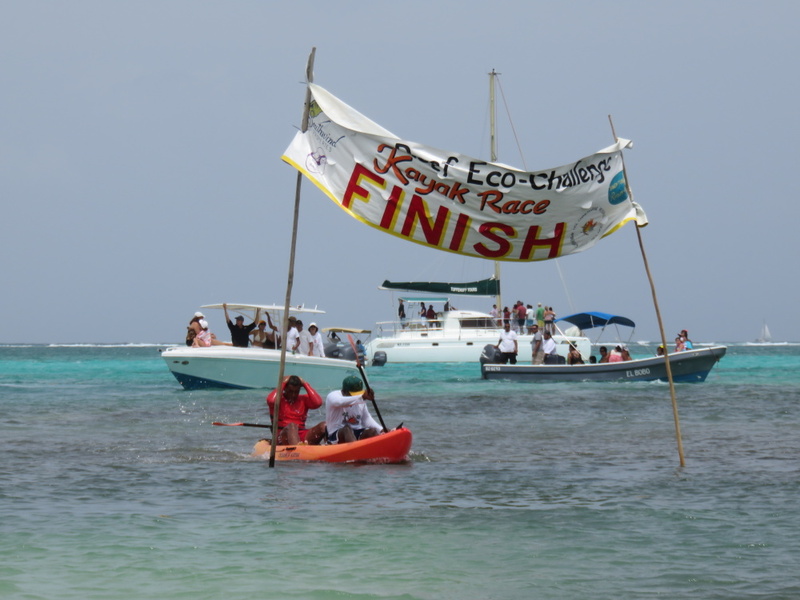 These two teams who had placed first and second in the first day of the race – Team “Hole mi Tight” comprised of Carlos Ramirez and James Alfor (sponsored by the Environmental Defense Fund) in first place. 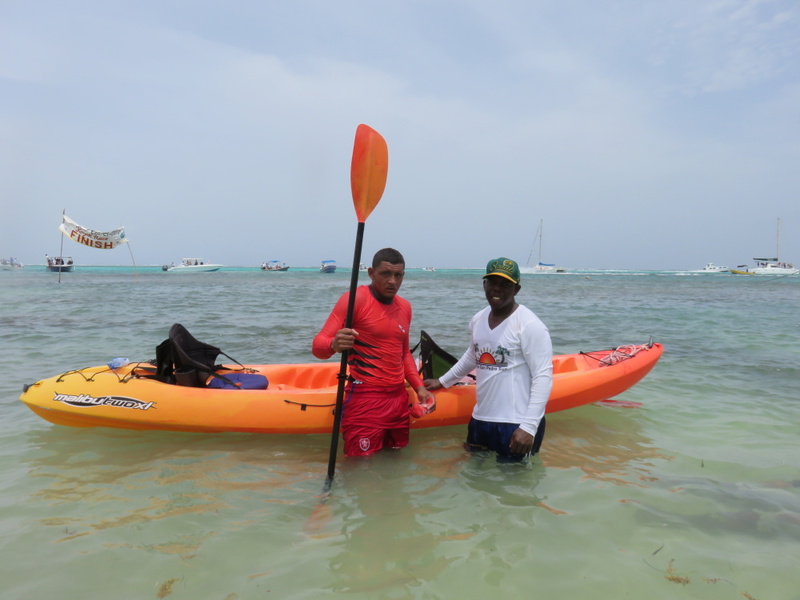 And The Belize Coast Guard team – Daniel Gregorio and Alfonso Lindo. Time to run around to the finish line. Hole Me Tight came in JUST before the Coast Guard Team. 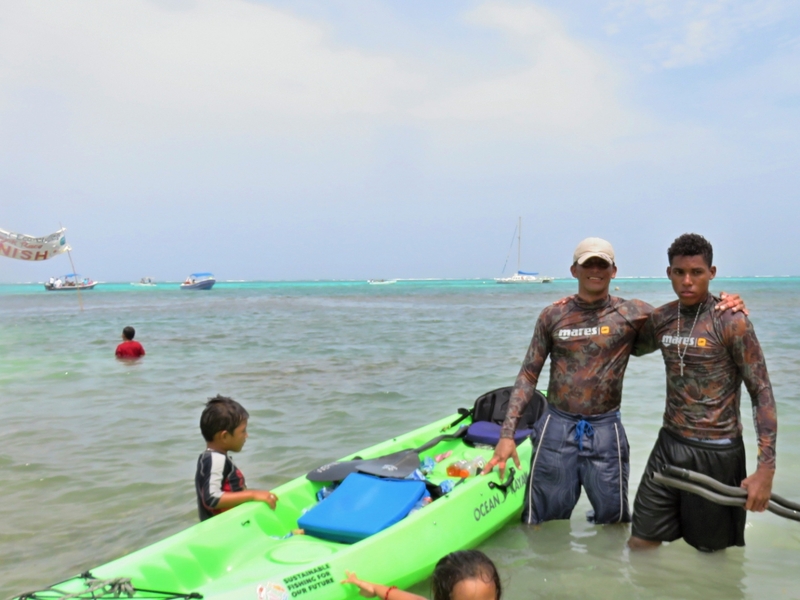 The first place crew…actually smiling! And my friends from the Coast Guard. A few minutes later, 3rd place. 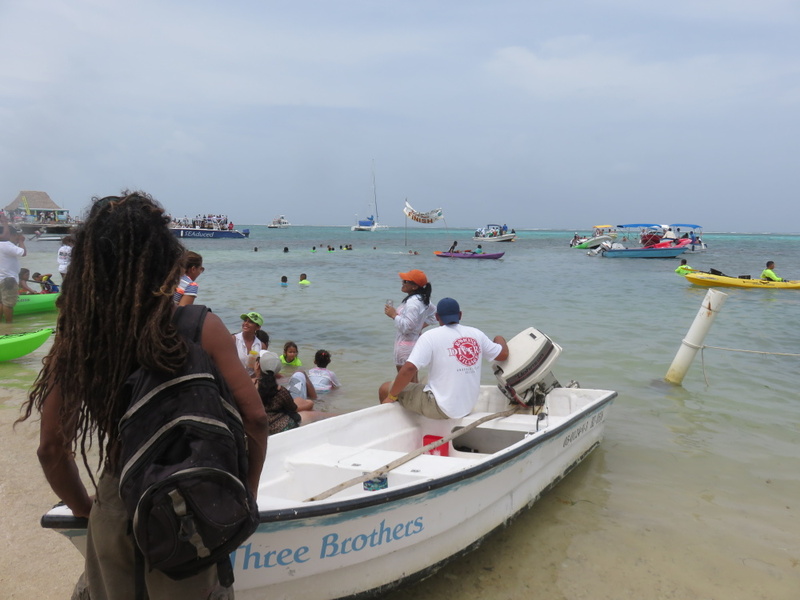 Captain Jimmy…who had just taken me parasailing a few days ago and his partner, Roy. 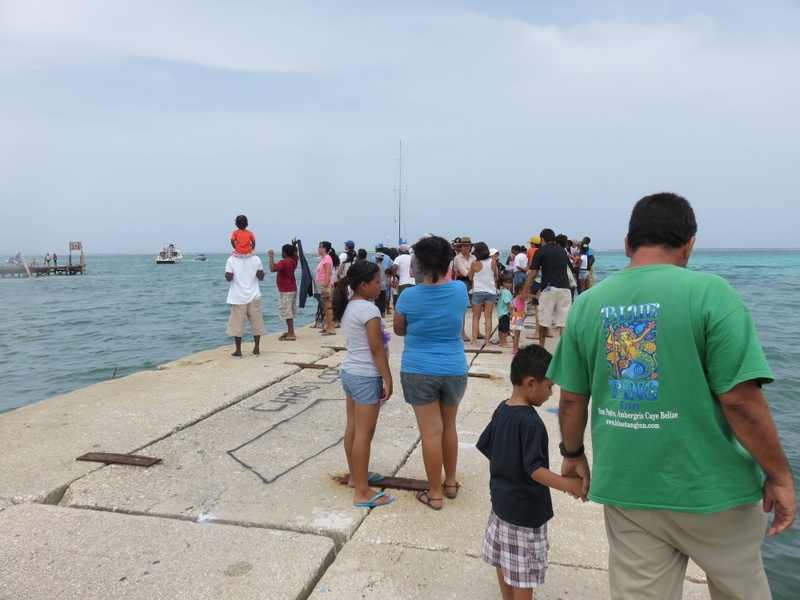 More teams started coming in…more kids went out to meet them. 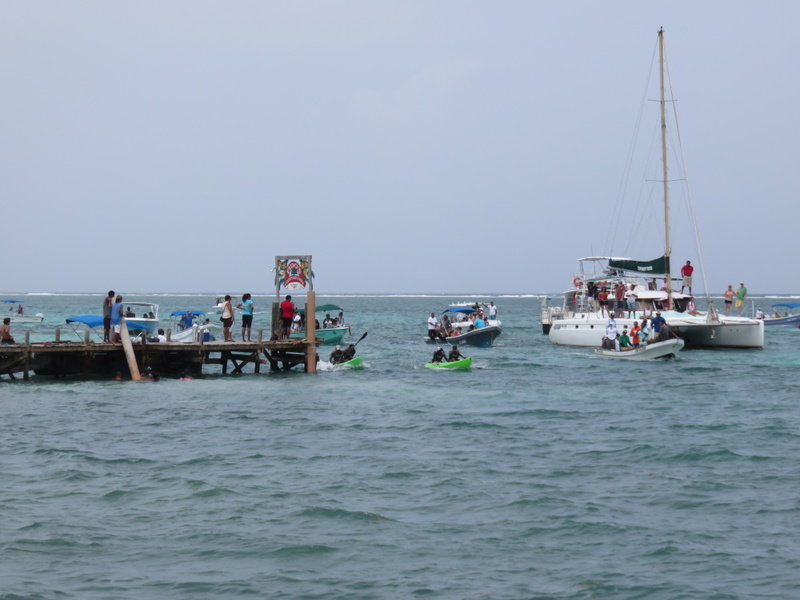 Team Ramon’s Village cooling down…and me bugging them with a camera. 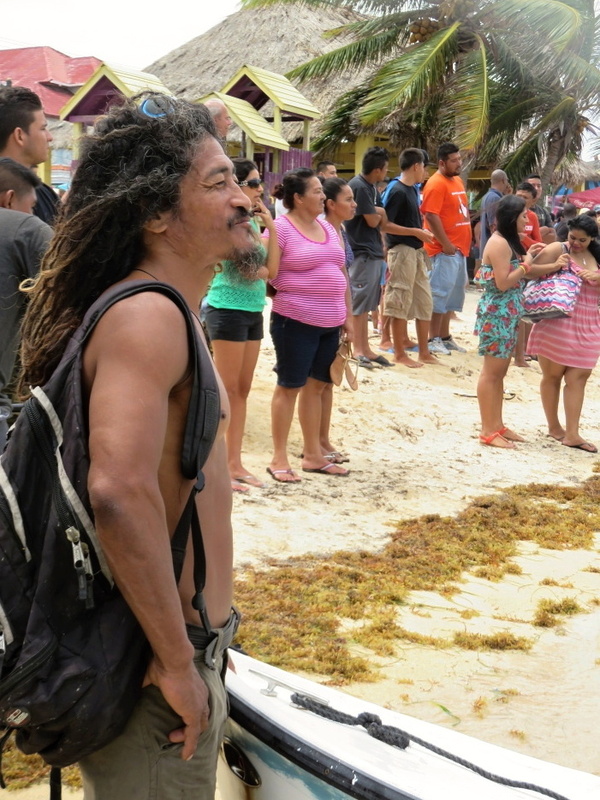 Coconut Leo taking in the festivities. Leo, I asked, you ever thought about doing this race? I don’t blame you Leo…not one bit. Anyone who trains for and finishes that grueling race is an impressive athlete. 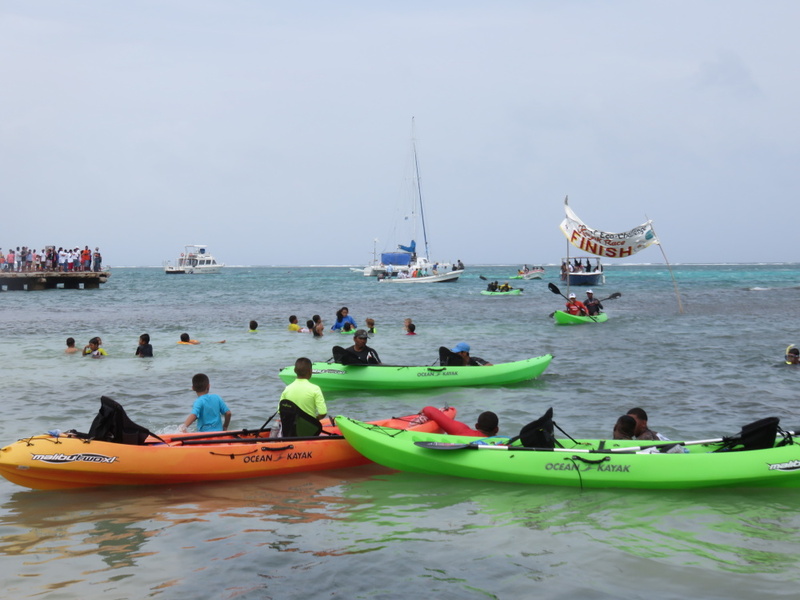 Congratulations to all of them…and the organizers, especially Elito Arceo. Time to start training for next year. Hoping you are able to do 95% of the work 🙂 I’ll provide the conversation topics? Most will sound like complaining to the untrained ear.